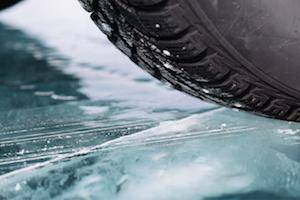 If you begin to lose control of your car on black ice, it is important to keep your foot off the gas pedal. Avoid hitting the brakes, since this can make you much more likely to skid out of control and strike another car, a pedestrian, or a roadside object. The best way to navigate through black ice is to drive slowly. Even though it can be frustrating to drive below the speed limit during the snowy and icy winter months, it is better to take your time and avoid a potential car accident. Not taking black ice seriously enough can cause a dangerous car accident, which can result in serious physical injury or even death. If you have been involved in a car accident caused by someone’s negligent driving in winter weather, Flaherty Law is ready to assist you with your case and help you obtain compensation for your damages. For a free initial consultation, please contact a Will County personal injury attorney today at 815-577-7500.